Professional documentation of Issue Management. Great discounts are available for large multi site users of the RCA2GO. The cost is typically less than a cup of coffee per user per week. Store finished reliability studies as case studies, to act as templates for future studies and proof of professional development. 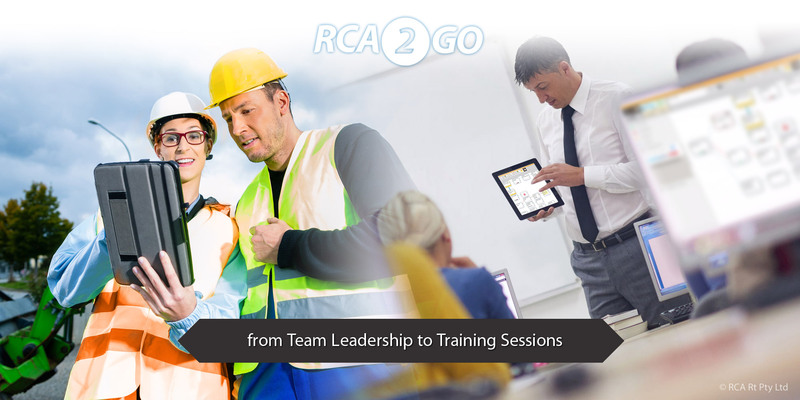 Continuously improve your career path with RCA2GO — best issue management software with best tools and most flexible problem solving methodology. Data is at your fingertips as you lead an investigation. Select from provided Human Factors Analysis and Classification System (HFACS) charts, or create your own from the existing ones to match the particular work environment, so that facilitation of Human Factors discussion with the team is more objective and flows freely. RCA2GO runs on all modern commercial operating systems for desktop and mobile. Start a project on your laptop, continue on your smartphone, finish it on your desktop. Do as you please. 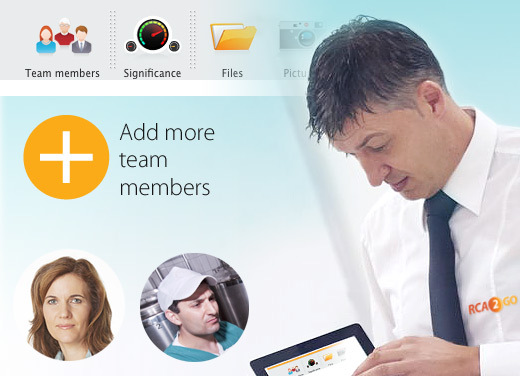 Software is continuously updated with newest features, so you always use latest release and its features. Backups are done automatically and the communication, even in challenging Internet connections, runs smoothly and safely. Even the advanced version is less than $4 per week. A "cup of coffee" for an RCA toolkit and report writer. 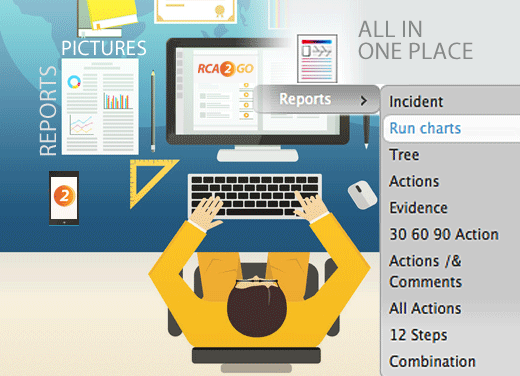 When using the RCA2GO, you enjoy the fruits of decades of best problem solving practices and training, carefully transfered from the 3-Phase 12STEPS Root Cause Analysis (RCA), our problem solving method employed by and trusted by thousands of people in leading organisations. You get best of the best.